Thirty-three years ago a small independent picture hit theaters and changed the history of horror cinema forever. The movie was called “The Evil Dead” and like it or not, it would become one of the most influential horror movies to ever grace the silver screen. 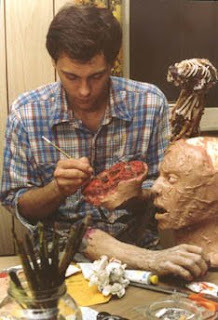 Tom Sullivan, was in charge of the special make-up effects for the movie, and a legacy was born. Sullivan also worked on “Evil Dead 2″, “Army of Darkness” and “The Fly 2″, but his original work on the movie “The Evil Dead” is a testament to the art of special effects.